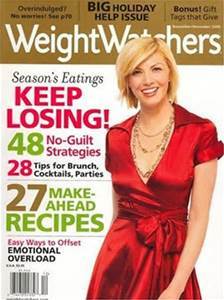 Hurry and request your FREE Subscription to Weight Watchers Magazine! Get 6 issues (bi-monthly publication magazine) completely for free! I get several magazines throughout the year from this website and I'm never billed! Simply click on the picture below. Add your "company information" (it's ok to create yourself a business owner with 1-4 people too...) and mailing information. I went through 2-3 pages of clicking no thanks or no (maybe 10 clicks) and got the confirmation!